Oh how I love the Christmas Season. I love almost everything about it: the reason, the decorations, the music, and most definitely the delicious food. I hope that you'll join with me this week, and celebrate the season by sharing your favorite holiday recipes. You can find the Holiday Recipe link party here. It will be open all week long, and I'll leave the link party posted until after New Year's. I thought that I'd start out the food festivities by sharing some of my favorite Christmas Candies. In our house fudge, toffee, and caramels were always standard Christmas candies. 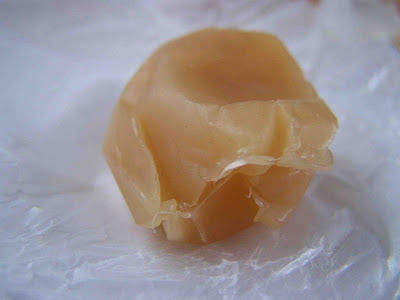 I have always had a personal preference for homemade caramels. They are just delicious. I married into the right family, because every holiday season my Mother-In Law makes up a big pan of caramels that we all enjoy. The difficulty in making caramels is having the patience to stir the pan for the recommended amount of time. Well, if you don't know if your arms can handle 30 minutes of constant stirring, then I have the recipe for you. This recipe is extremely easy to make, and I've had great success with it. It will turn out a delicious pan of chewy caramels. It also tastes delicious with toasted almonds or pecans, but I'll stick with the basic recipe. 1.) Prepare and 8 inch square pan, by lining it with aluminum foil and buttering all sides. 2.) In a heavy sauce pan, combine the butter, corn syrup, sugar, and salt. Bring to a boil over medium heat. Stir constantly. When it begins boiling, reduce heat to medium low, and gently boil for 4 minutes without stirring. 3) Remove the saucepan from the heat. Slowly stir in heavy cream. Return saucepan to heat. Continue cooking on medium low heat, without stirring, until mixture reaches firm ball stage (or 245 degrees on a candy thermometer). Remove the saucepan from heat, and stir in vanilla (and nuts if desired). 4.) Pour caramel mixture into prepared pan. Avoid scraping the sides of the pan. 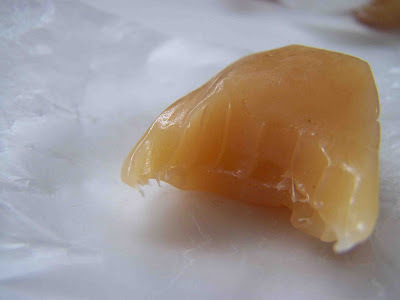 Allow the caramels to cool completely (2+ hours). Remove the caramels from the pan, cut into squares, and wrap in waxed paper. 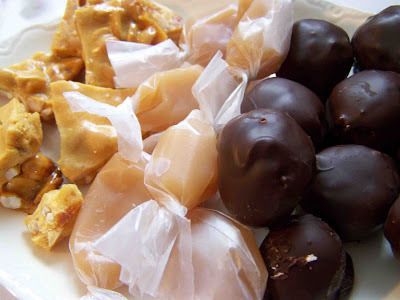 *I love to sprinkle set caramels with sea salt for a bit of flavor contrast. Link up your favorite holiday recipes here. I'll be linking up here as well. I'll be back soon with additional holiday candy and treat recipes. Thanks for your nice comments on my blog! These caramels look so yummy!! 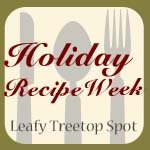 Thanks for inviting me to link up at Holiday Recipe Week! I have added a few recipes and have signed up to follow you! I'd be delighted if you joined me at Create With Joy as well! Oh yum, yum, yum! 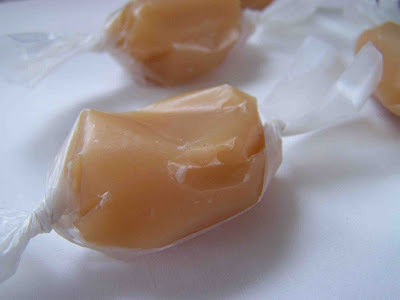 Homemade caramels are the best!!! Thanks for stopping by Mom Endeavors and inviting me to the recipe party! Yummy stuff! I linked up the snowflakes and a few others as well! ok I could be totally missing it, but in the ingredients it does not say salt then in the directions it says add salt?? please help! 1/4 tsp salt is what the recipe recommends, but you can add as much or little as you'd like. Sprinkling the set caramels with sea salt is also a delicious touch.